The Portable Train Weigher (PTW) is able to weigh rail vehicles without the need for expensive changes to the track or foundations. 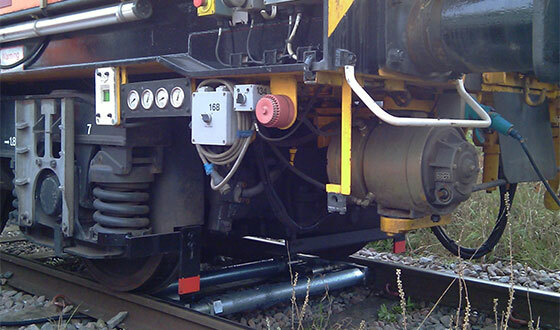 Our in-motion train weighing systems offer train operators and railway contractors an economical and convenient way of avoiding dangerous overloading and axle imbalance. Our in-motion train weighing systems (also known as weigh in-motion or dynamic weighing systems) are highly suited to the freight market and can provide the capability to weight trains at speeds of up to 3mph (5kph). 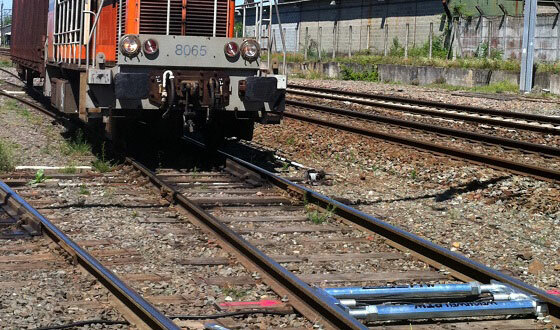 The portable rail scales can also provide weighing information on the individual wheel, axle, wagon and total train. This makes our in-motion weighing systems perfect for temporary sites and short term projects. For in-motion weighing we offer either the PTW1 or PTW1 HD (Heavy Duty) train weighing systems, both of which are patent-approved, have an accuracy of +/-2-3% dependent on track conditions (+/- 1% in ideal track conditions) and are available for hire at short notice for periods to suit any budget or purchase.